Check out the new design of the UBC Geological Field School located in Oliver, British Columbia. 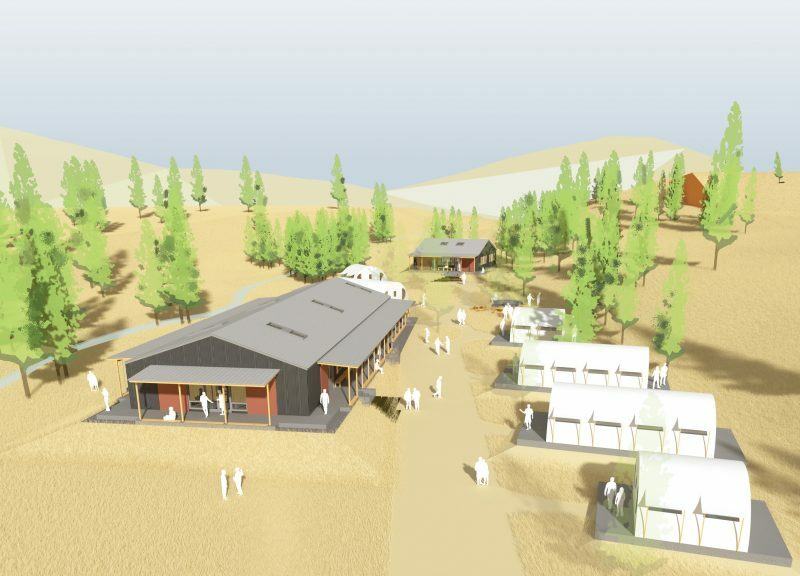 The Field School complex consists of: a main building with learning, dining and kitchen functions; a faculty cabin; and, heavy duty tent structures for students. The Geological Field School will be used by students and faculty of the UBC Department of Earth, Ocean and Atmospheric Sciences. AOA25 celebrates 25 years of Acton Ostry Architects with a chronology of 25 projects that hold special significance for founding partners Russell Acton and Mark Ostry. The 272 page, hardcover book is now available for sale at Inform Interiors located at 50 Water Street in Vancouver’s Gastown neighbourhood. AOA25 sells for $38, with all proceeds being donated to support the education of young architects. 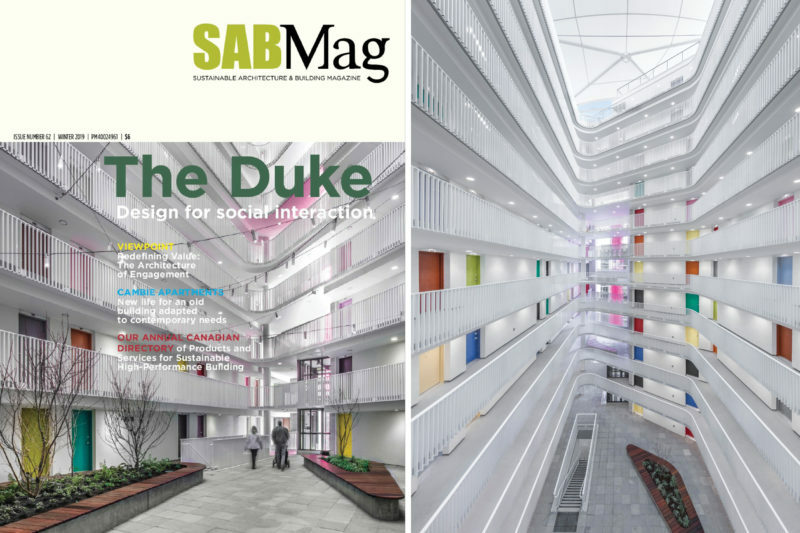 Check out the feature spread on The Duke in the Winter issue of SABMag Magazine. Article by Jim Taggart | Photos by Michael Elkan. Check out the updated renderings for the Vancouver College on our new project page! 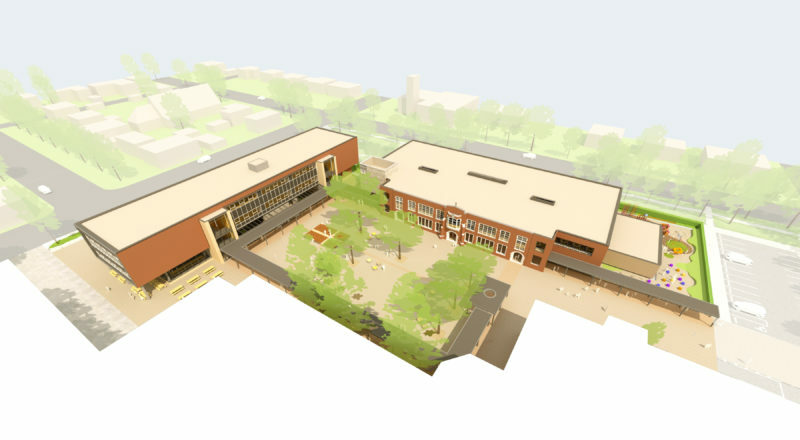 The redevelopment of Vancouver College focuses on the creation of a sense of place for the only all boys independent Catholic university-preparatory school in British Columbia. The Phase 1 Manrell Hall middle school was completed in 2018. The Phase 2 elementary school and chapel, and Phase 3 cloistered courtyard, are scheduled for completion in 2020.